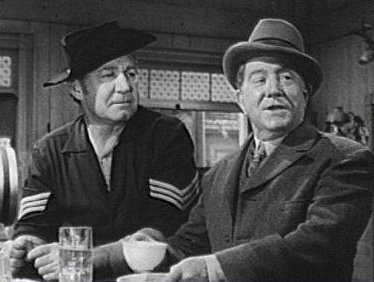 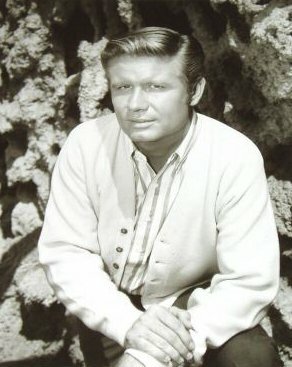 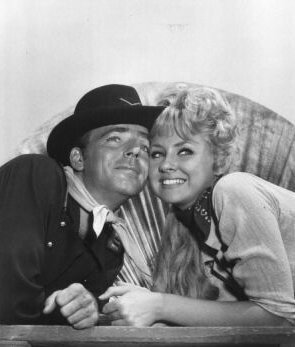 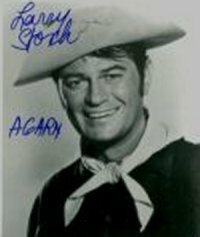 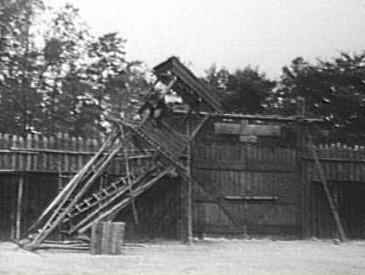 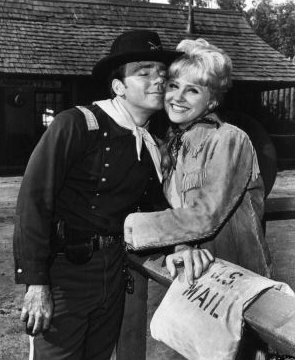 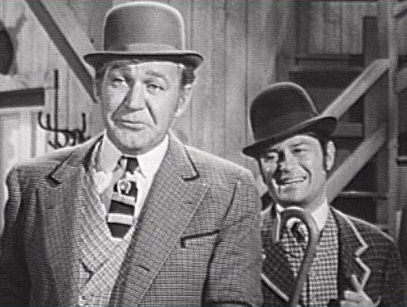 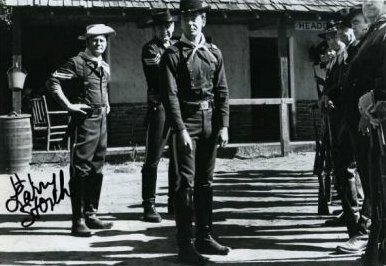 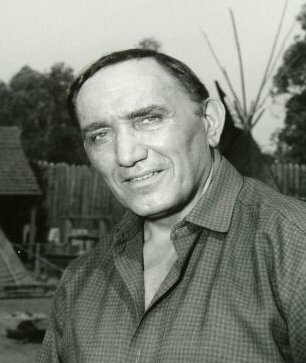 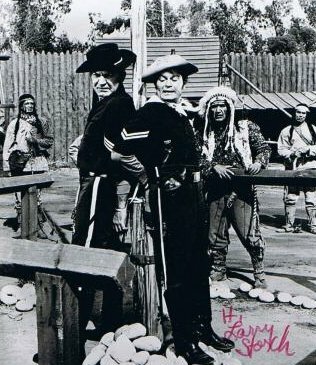 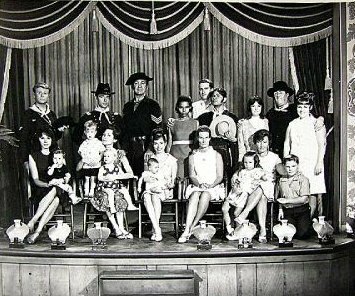 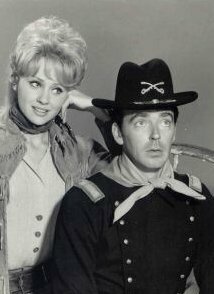 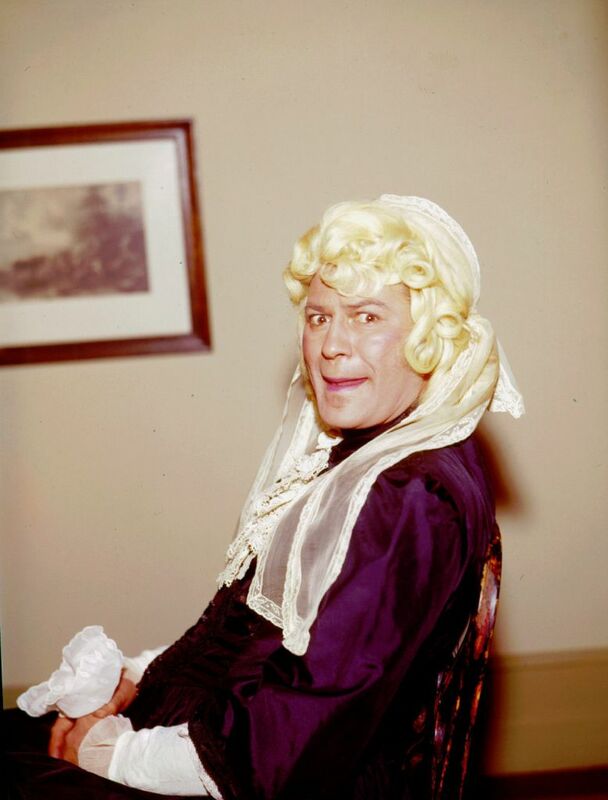 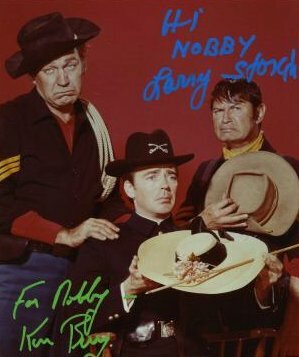 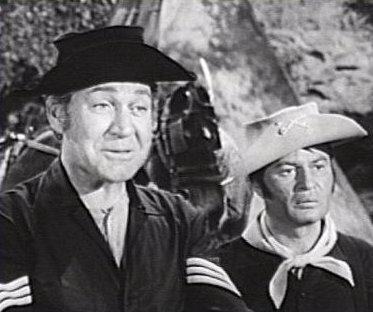 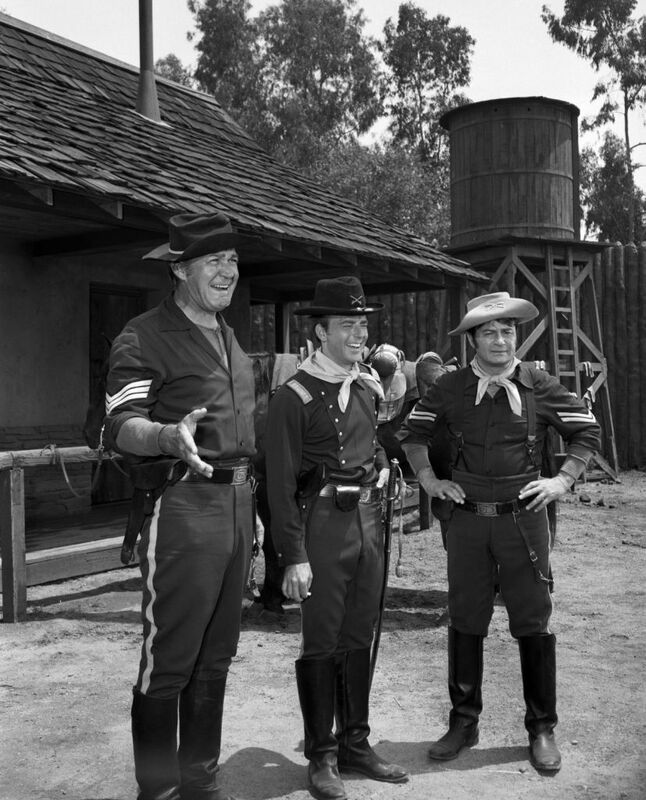 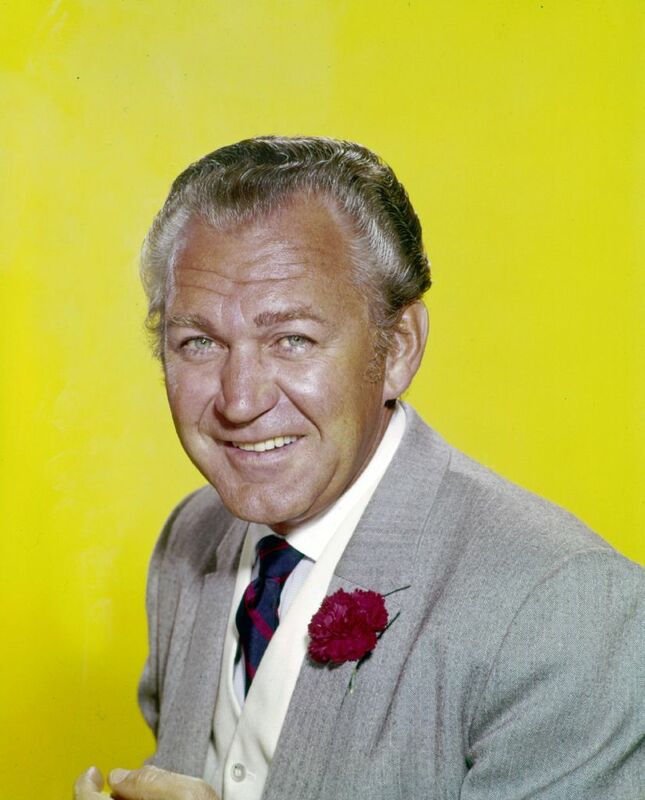 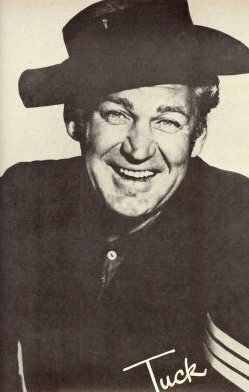 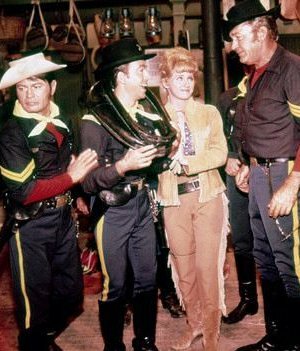 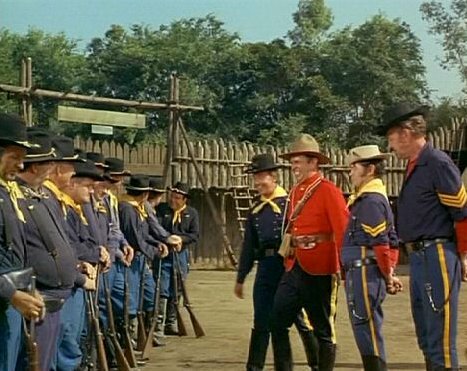 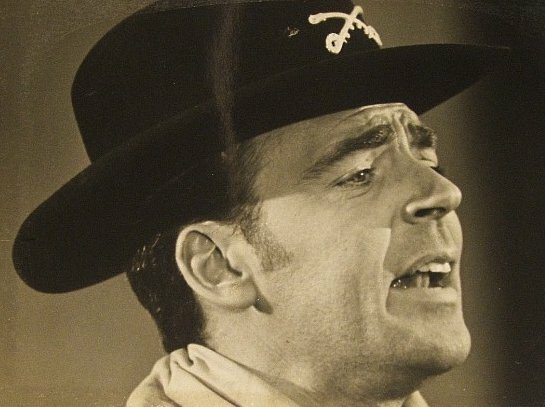 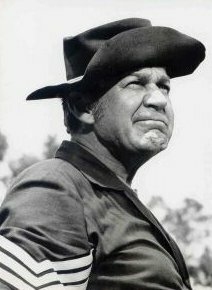 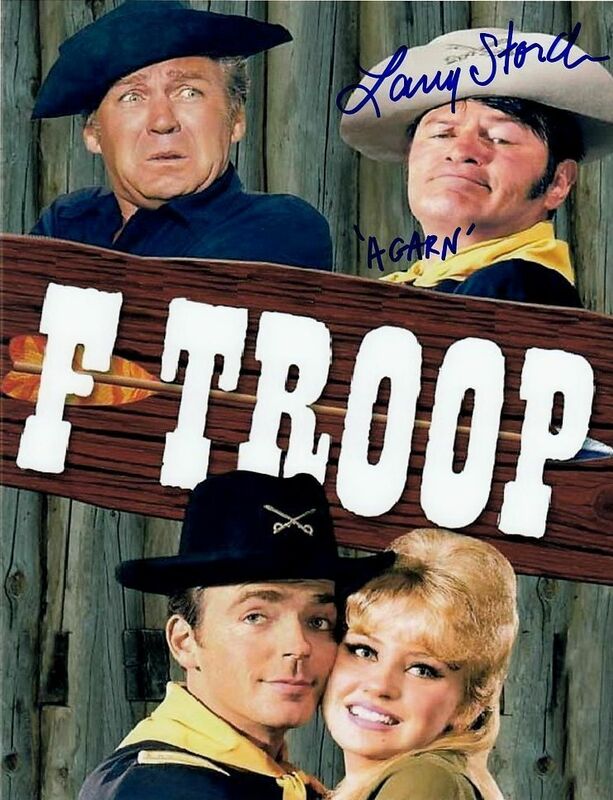 This 1960's sitcom/western followed the bold yet bumbling soldiers of F-Troop at Fort Courage in the days following the Civil War. 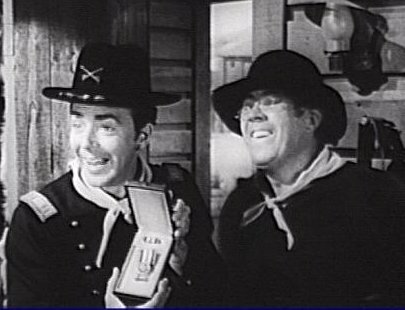 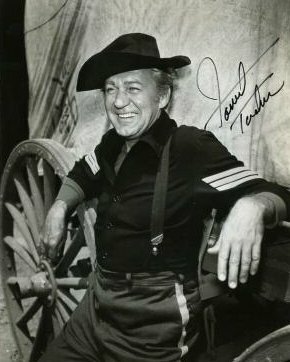 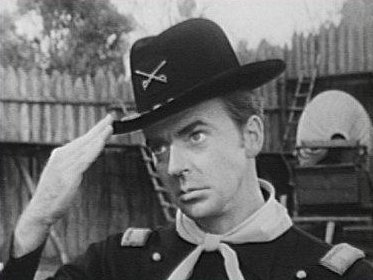 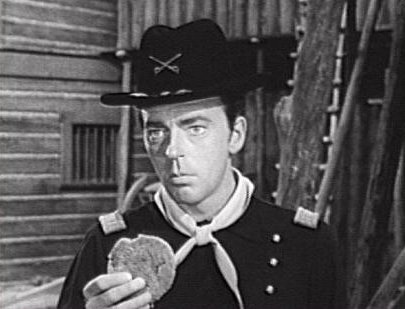 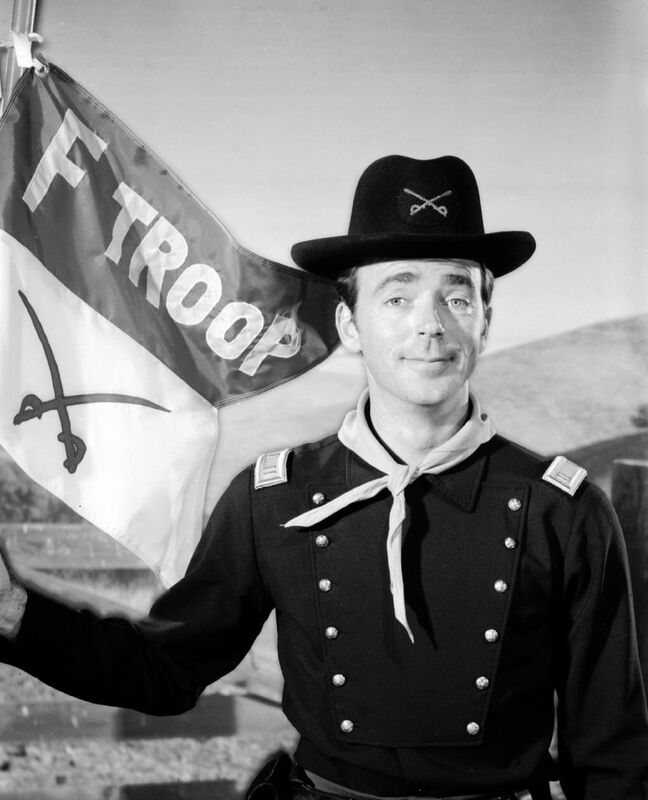 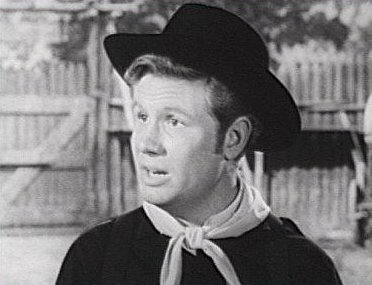 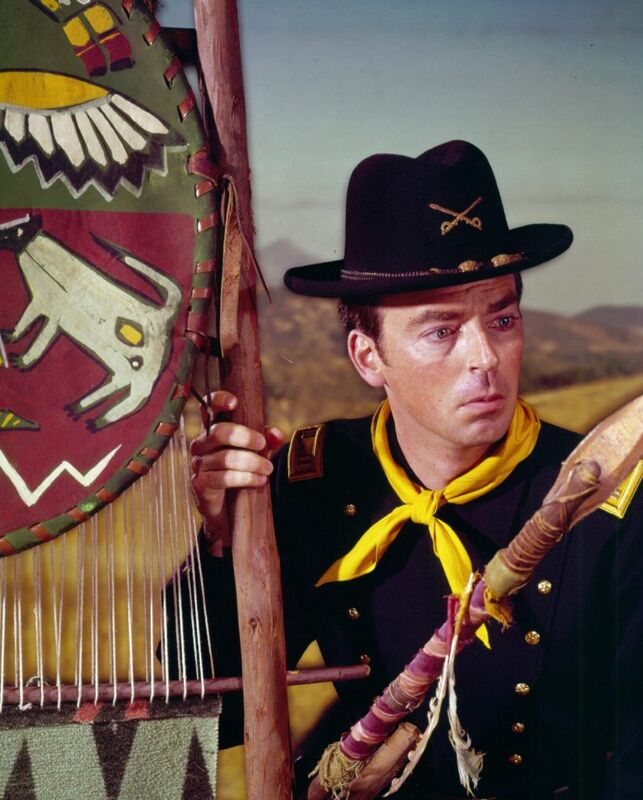 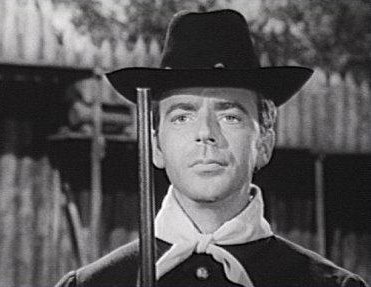 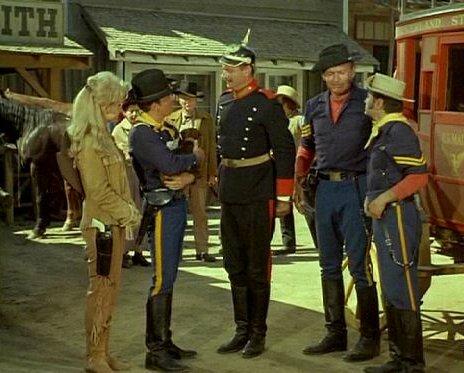 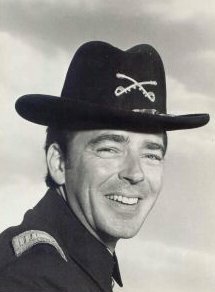 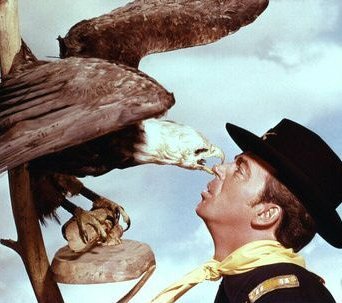 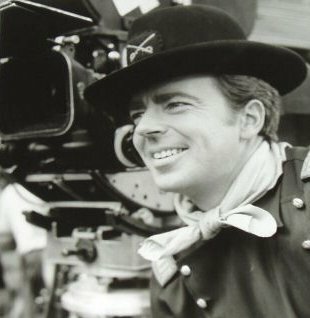 Led by Captain Parmenter, a native and wide-eyed soldier promoted to Captain due to an act of accidental heroism, the F-Troop cavalry does its incompetent best to survive in the lawless frontier. 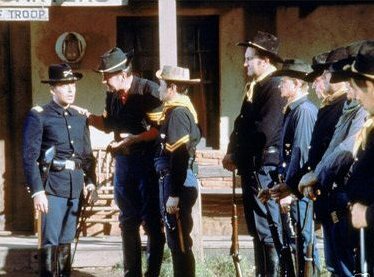 Making things easier, Parmenter's second-in-command, the crafty Sgt. 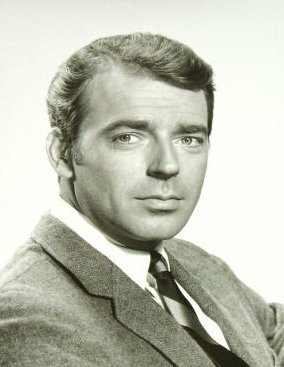 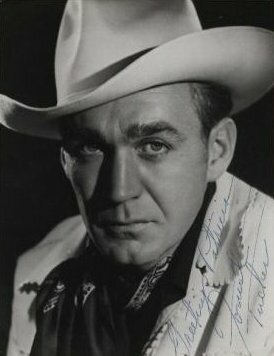 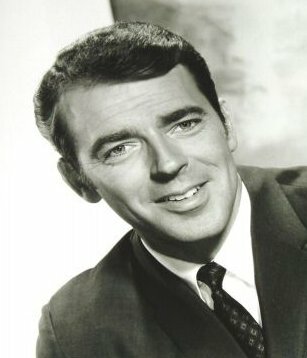 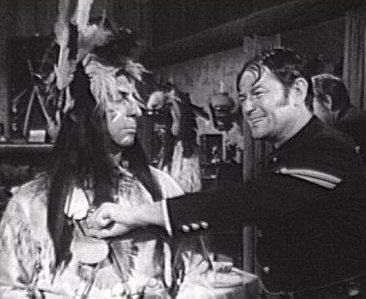 O'Rourke, negotiates a deal with the local Hekawi Indians in which the cavalry and the Indians stage mock battles, but actually work together in a mutually profitable Indian souvenir business. 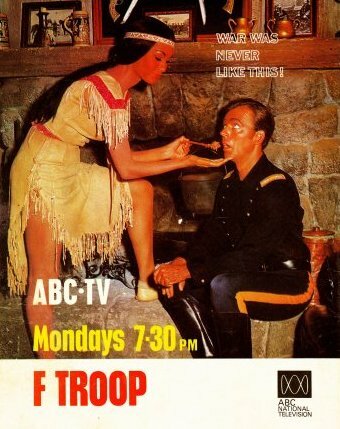 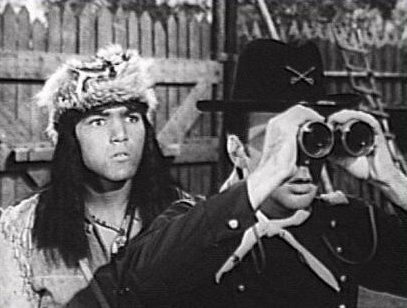 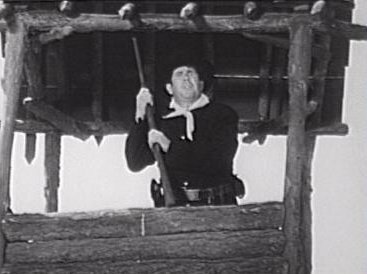 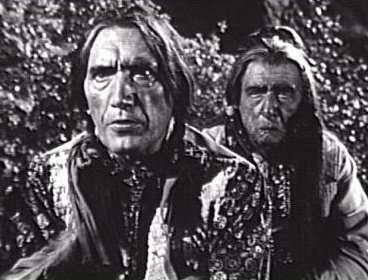 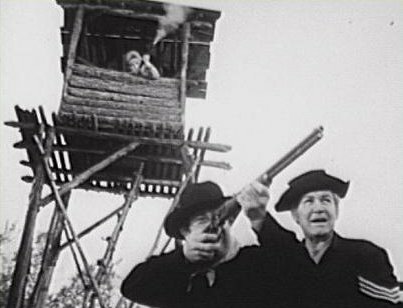 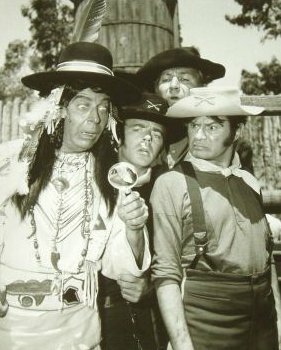 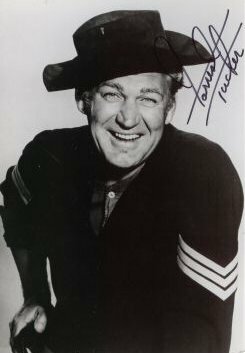 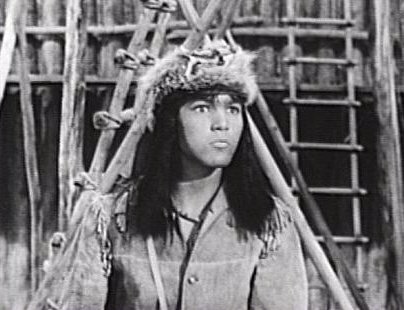 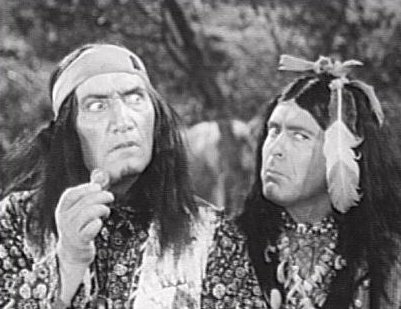 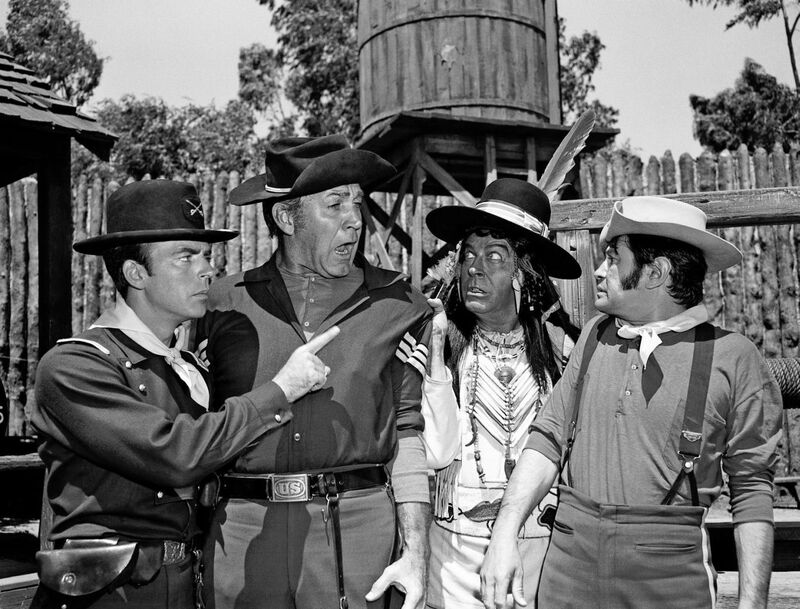 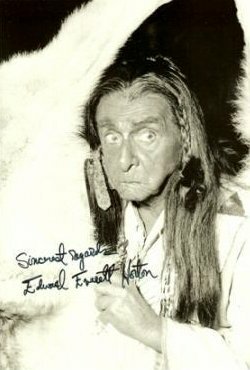 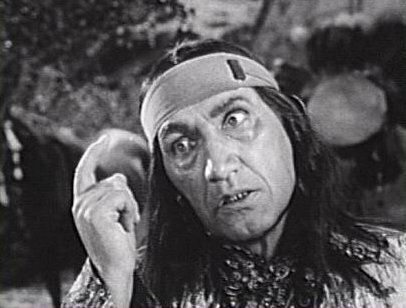 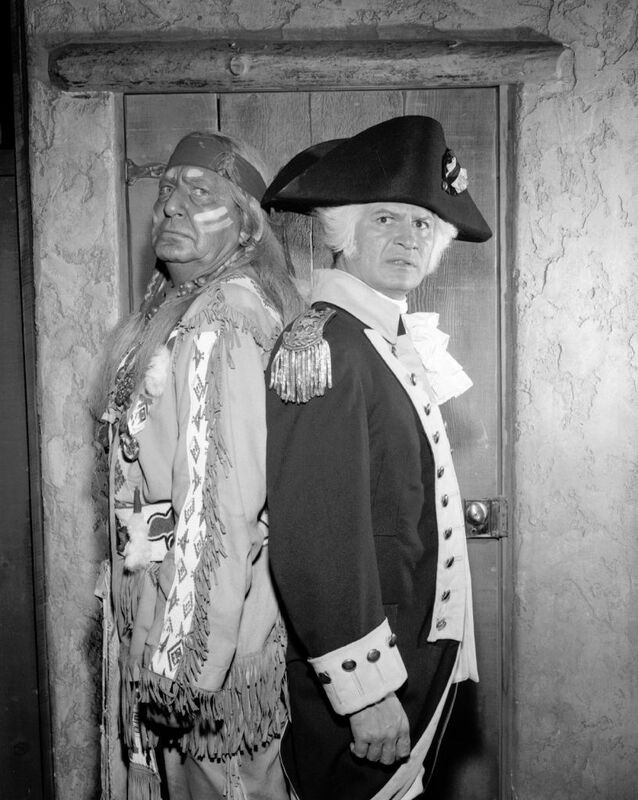 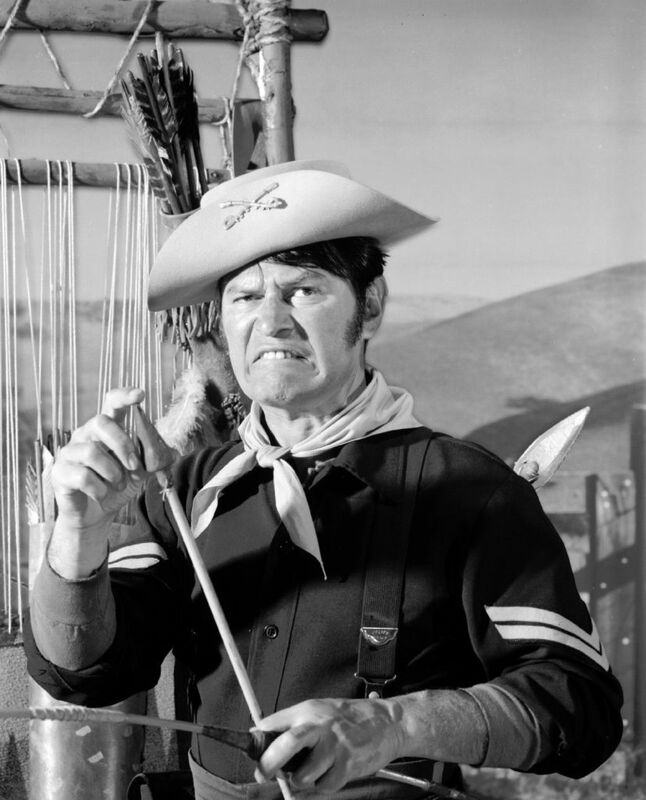 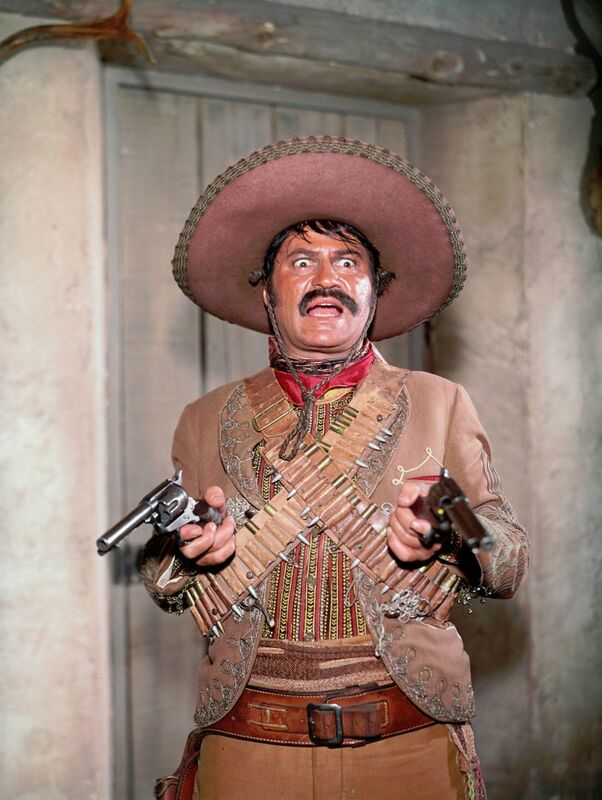 The true threat to F-Troop comes from the warlike "Shug" Indians who periodically raid the fort. 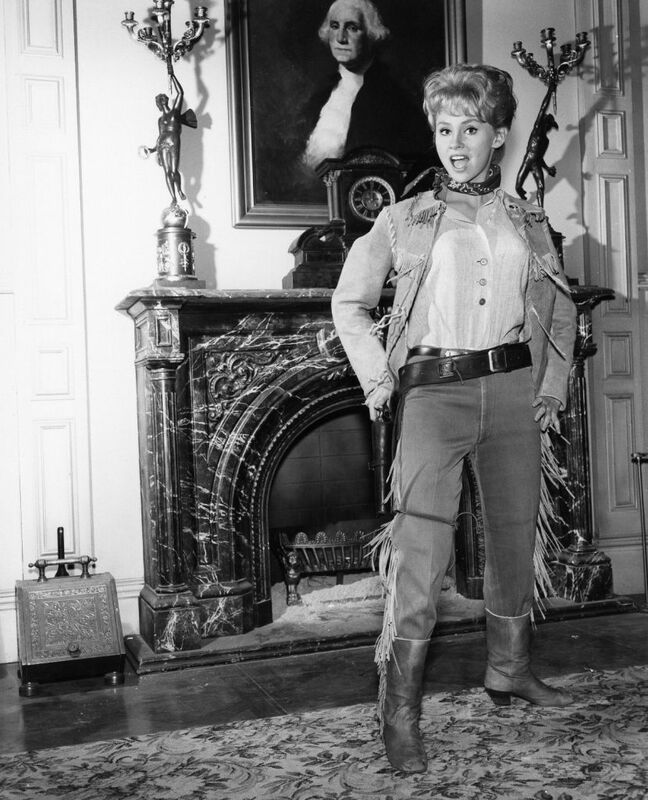 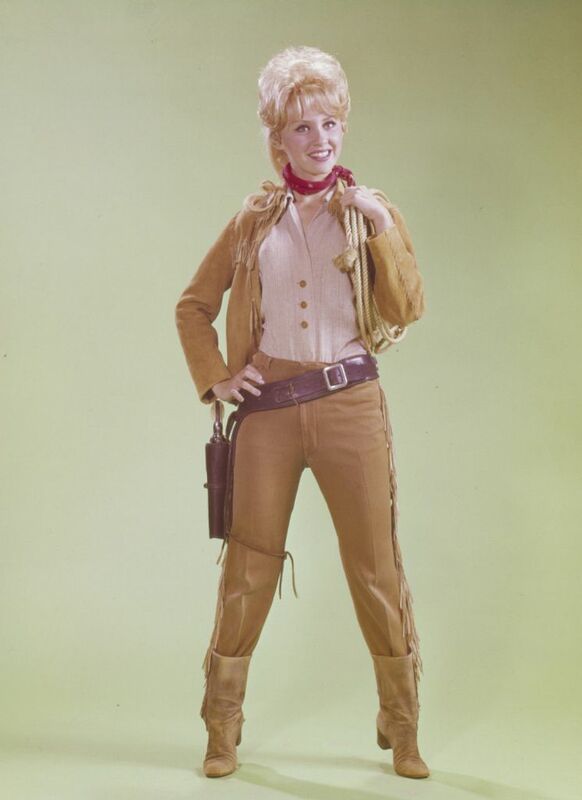 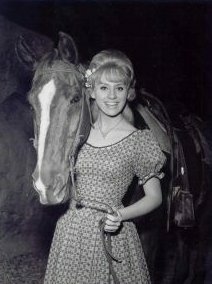 Bringing a bit of sexpot appeal to the show, sharp-shooting cowgirl Wrangler Jane strives to marry the innocent Captain Parmenter. 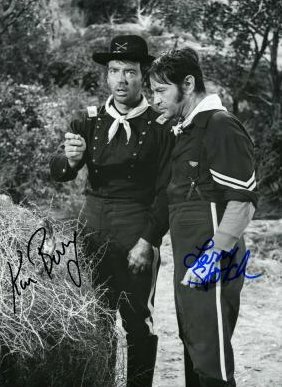 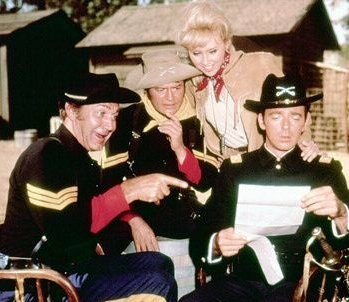 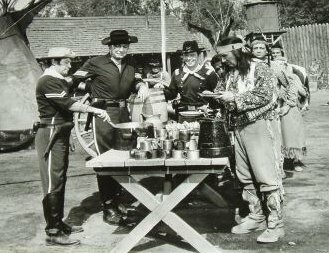 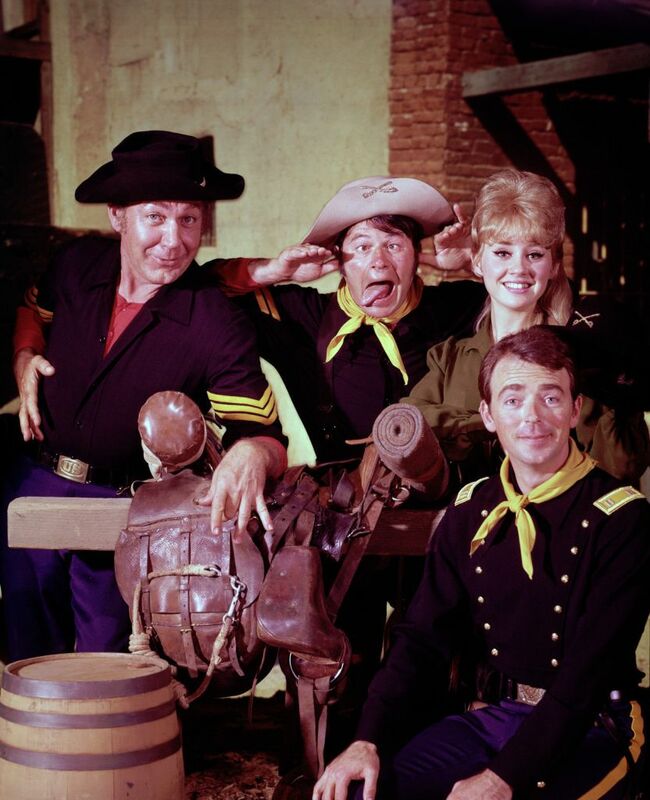 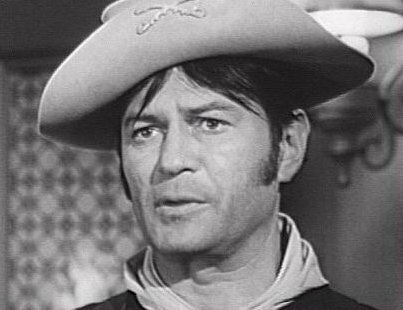 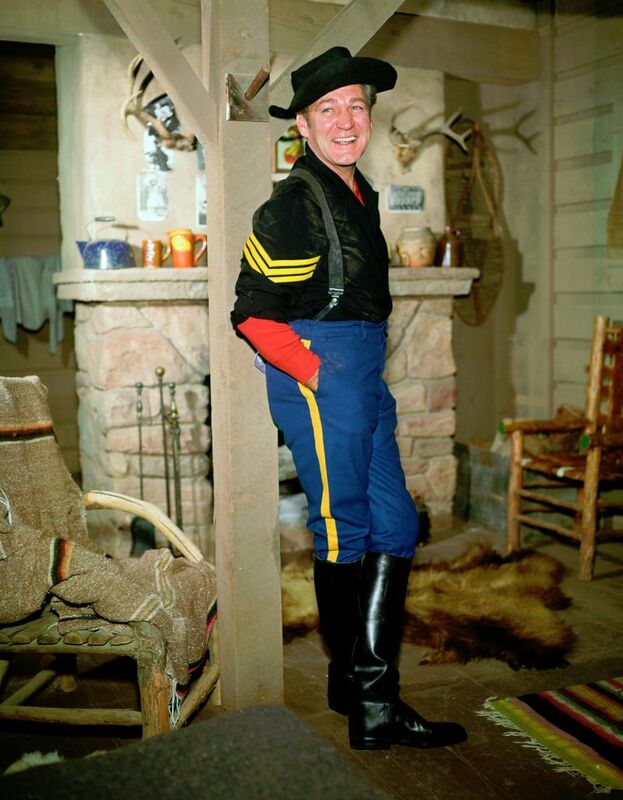 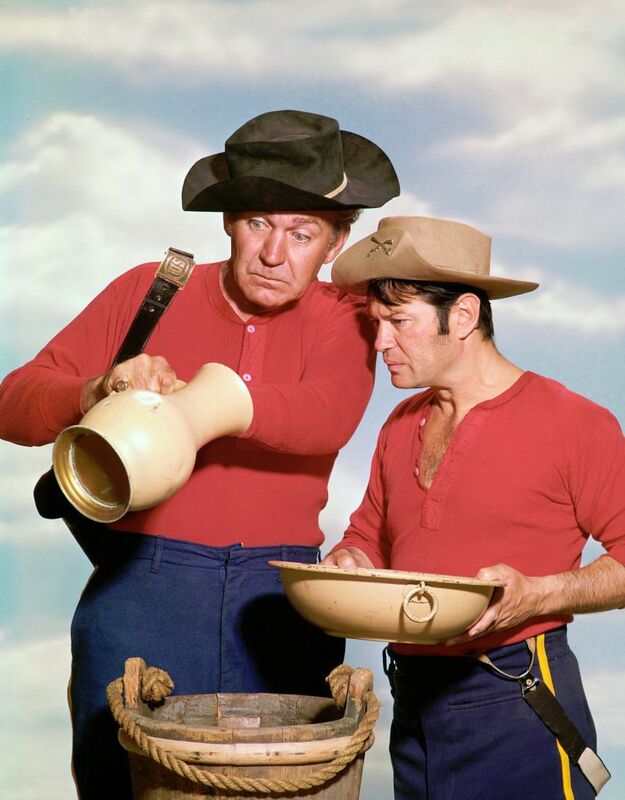 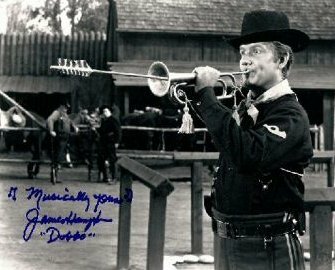 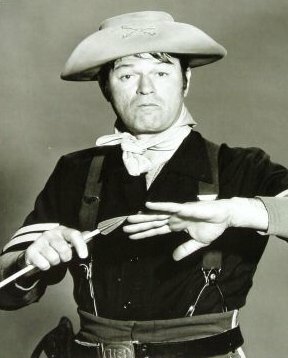 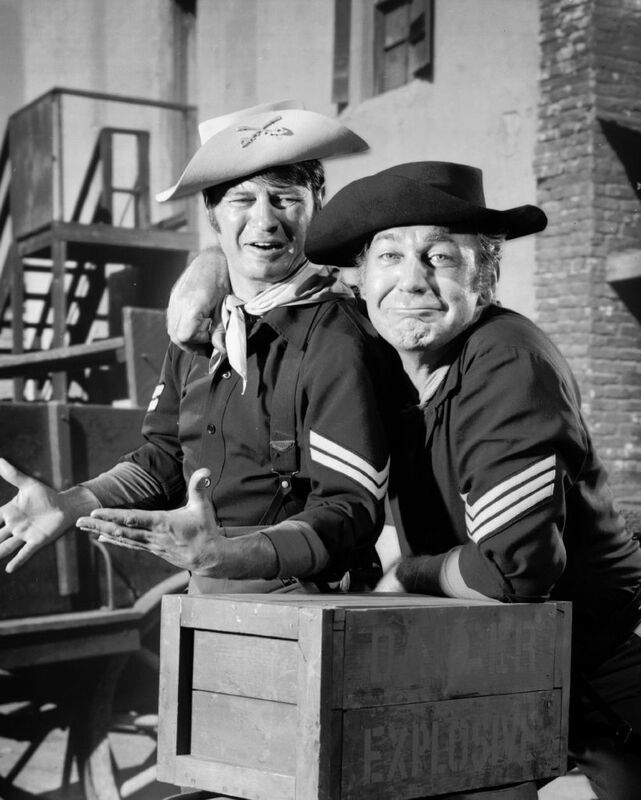 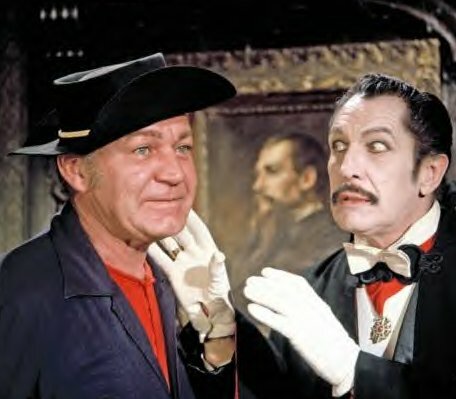 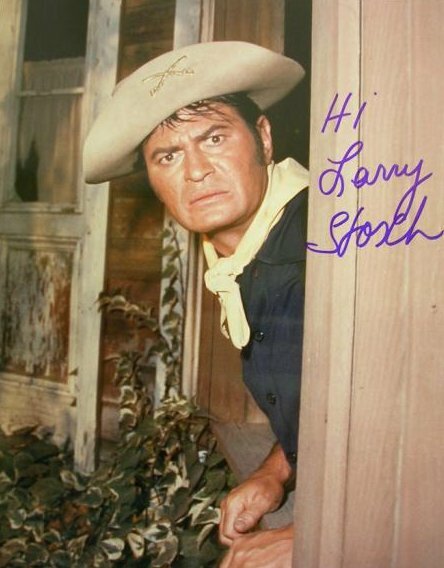 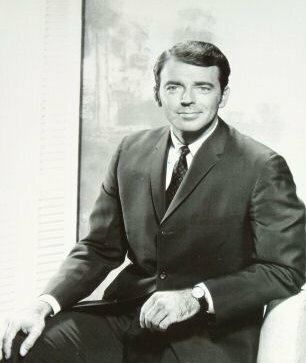 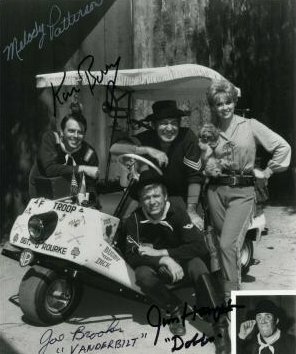 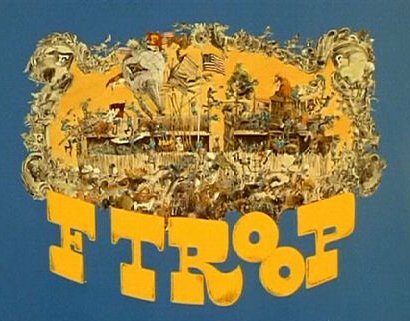 A lighthearted send-up of the Western genre, F-TROOP, with its irreverent anti-authority attitude, showed its ties to the sixties counterculture, and acted as a precursor to the megahit M*A*S*H.
Cast: Bob Steele, Don Diamond, Frank DeKova, James Hampton, Ken Berry, Larry Storch, Melody Patterson.